School is almost over and Summer is almost here! Time to start planning vacations. Lots of times, that involves long car rides to your destination. 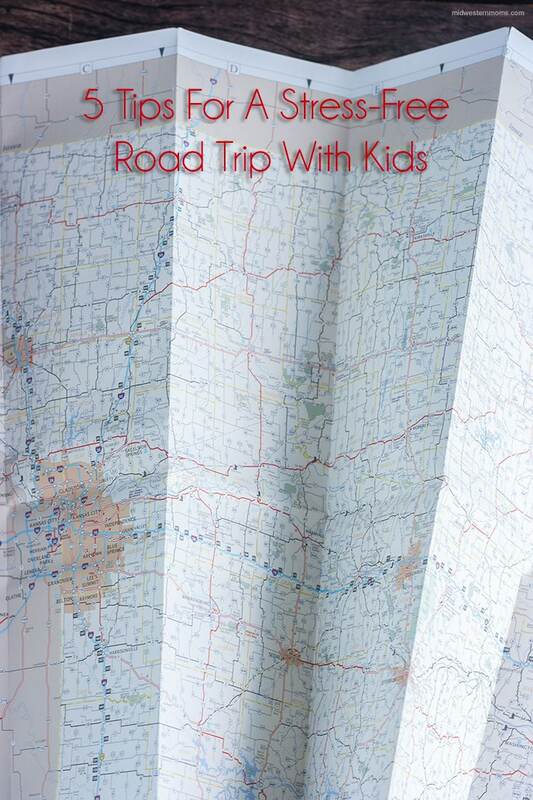 So, here are 5 tips for a stress-free road trip with kids. 1. Plan stops along the way to your destination. This allows the kids to get out and stretch. They are full of energy and excitement and they need a way to burn some of the energy. Check for nature parks along the way where everyone can get out and walk around. Also, check out neat places to stop and visit. Maybe the world’s largest ball of yarn is on your way. Stop and check it out. Kids will remember the fun times along the way and add happy memories instead of the “Are we there yet?” memories. 2. Play fun car ride games. When we were growing up, I always remember how we were looking for all the different license plates. We were hoping to see all 50 states, even though it never happened in one trip. It was still fun! If kids are still young, you may want to pack fun packs for them. Have them help you create a Travel Fun Pack before heading out. coloring books or activity books and markers – I say markers due to the fact that crayons will melt in a hot car. You don’t want clean that mess on vacation. building blocks – My sons have a small tub with cheap plastic blocks from the dollar store. books – If they don’t get car sick, this is a great option. We don’t want to forget snack time. It is important to pack up smart choices for snack time. Don’t pick anything that will be too messy. Finger food is best. My boys like to pack up Goldfish snacks when we go on a road trip. 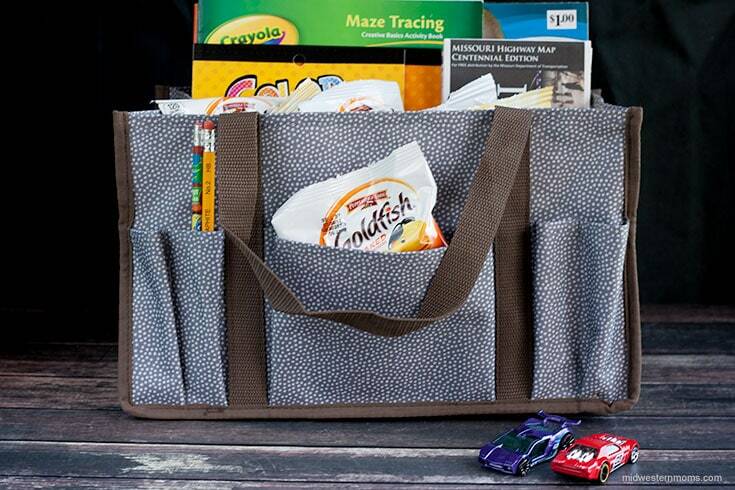 Goldfish has several products that are perfect for road tripping. Goldfish snacks come in 3 different travel safe packages: Multi-packs, Grab and Go packages and resealable bags. Visit Goldfish’s Pinterest page to get some great ideas for snack mixes to take as well. Don’t forget to pack drinks for the road too. Drinks like juice boxes or bottles with lids work great. 4. Give them a map to help keep track of your travel progress. When you stop at one of your stretching points. Help your child mark where they are on the map. Have the destination marked in some way so they can see that you are making progress. Yes, someone will spill something. It just happens. Make sure to have some cleaning supplies but have them handy. Also, have extra clothes handy to get to. You never know when someone may get sick or dump their drink on themselves. There you have it. Five tips for making your road trip stress-free. Remember, your road trip is about creating memories and not sweat the small stuff. If you are not planning a road trip, you can still have fun creating memories this summer. Check out Goldfish’s YouTube Channel. They are having fun creating stop motion movies. You and your child can create memories creating your own stories and making an awesome video. There are tips on how to make your own video on YouTube. What other ideas do you have for a stress-free road trip? What type of movie would you create with your child?